I am a fourth-generation San Franciscan born the day before the twenty-fifth anniversary of the opening of the Golden Gate Bridge. 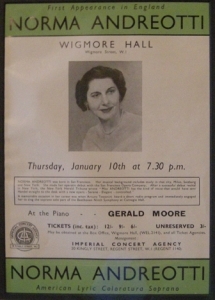 My grandmother was a Classical singer who toured Europe in the ‘30’s, ‘40’s and ‘50’s; a highlight performance was as the soprano soloist in Beethoven’s Ninth in Carnegie Hall in 1942 with Arturo Toscanini conducting. My uncle, who died ten years before I was born of alcoholism, was a saxophonist in the Paul Whiteman Band and my late mother was a pianist who taught herself how to play the organ in her fifties…so, in the words of one of my favorite tunes by Jenny Scheinman, I’m “Born Into This”. Started playing recorder when I was seven. 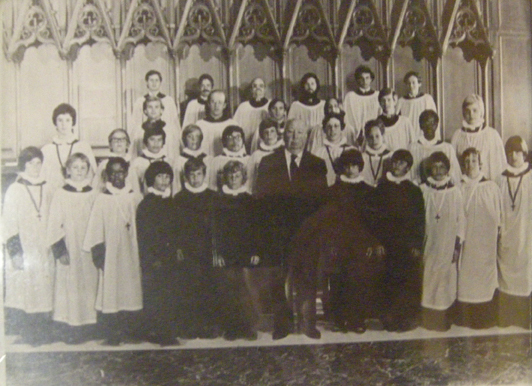 Received one amazing musical education as a boy chorister at Grace Cathedral in San Francisco. 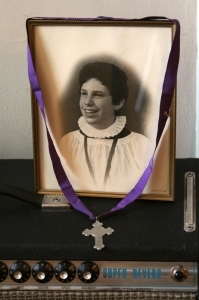 We did everything from Gregorian chant to stuff with electronic tape, jazz Easter evensongs with the Turk Murphy Band…recorded albums, even did a bit of the soundtrack of Hitchcock’s last picture! Found out who I wasn’t during Ray-gun’s first term in office by attending and graduating from The Citadel (what?! )… took most of the hours from that degree in 17th Century English Literature and transferred it to a degree in Voice and Recorder at The College of Charleston. Fortunately for me, my recorder teacher (from Brooklyn) encouraged me to play with all kinds of musicians…so I did! 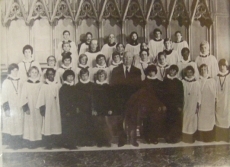 I was a member of the Charleston Pro Musica (an ensemble that performs Medieval and Renaissance music) did a vocal recital, went to England and Wales with the choir. Moved to NYC twenty years ago to try and get an M.A. in Voice…was turned down five times in three years, served a two-year sentence at one of those schools doing more B.A. work and had the enjoyment of music beaten out of me. Worked in the food and beverage industry for a number of years… went to India for my first pilgrimage for three months in ’00 and asked my God to “Please help me with my family!” I also got it that they were anti-Semitic when they stopped speaking to me because I had rekindled a relationship with my sister and nephews who are Jewish. A family tragedy occurred in ’03 and I entered a very dark time in my life. The year before, I started to study astrology to make sense of what was happening. The game of lacrosse was the only outlet for my frustrations; I wasn’t able to focus on music just yet. My father died in ’05. Slowly my fortunes changed, I became a musical sponge, started making friendships with musicians and sought a lot of help to heal emotionally. Eventually, I started subletting this apartment in Carroll Gardens, Brooklyn from an old friend in the fall of 2007…and I had a vision of turning this place into a recording studio. I began to buy equipment in the spring of ’08. Through a musician friend, I met Matt Shane and Mark Goodell of Eleven Audio Design and we put this place together over several years. For the time being, I’ve decided to get off of social media.